By Nicole D. Prysby, J.D. 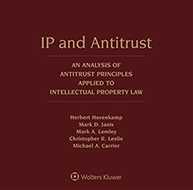 The framework is based on the principles of the Antitrust Division’s Multilateral Framework on Procedures, which is aimed at promoting due process in antitrust enforcement, according to a Department of Justice statement, announcing the approval. The U.S. Department of Justice announced today that the International Competition Network has approved a new multilateral framework for procedures among antitrust enforcement agencies to promote fundamental due process in competition law investigation and enforcement. 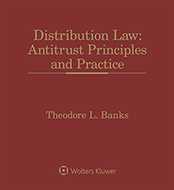 The framework is based on Antitrust Division’s Multilateral Framework on Procedures (MFP) which was outlined in a speech by Makan Delrahim, Assistant Attorney General in charge of the Department of Justice Antitrust Division, at the Council of Foreign Relations in June of last year. 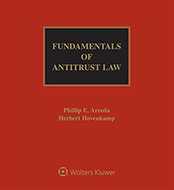 After the Antitrust Division developed the framework, it agreed to implement the proposed arrangement through the ICN. The framework begins on May 1, 2019. Participants in the framework may include all national, supranational, and customs territory-specific competition agencies around the world, as well as other agencies by request. It will be co-chaired by three participants serving three-year terms. Participants join the Framework by submitting a registration form to the co-chairs. The framework includes procedures for cooperation between participants. For example, any participant may request that another participant engage in a dialogue regarding any issue of competition law procedure that is material to the framework. Participants will also publish or submit to the co-chairs, no later than six months from adherence to the framework, a template with information regarding its competition law investigation and enforcement procedures. 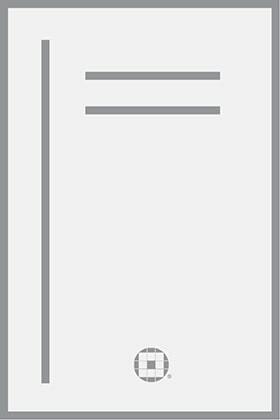 The annex to the framework sets forth the general principles, which include non-discrimination, transparency, predictability, procedural requirements, confidentiality, conflict of interest safeguards, and review procedures. For example, each participant must ensure that competition laws and regulations that apply to Investigations and Enforcement Proceedings in its jurisdiction are publicly available. Persons that are the subject of an investigation must receive notice and an opportunity to respond and defend; investigations will take place during a reasonable time period; persons under investigation are entitled to be represented by counsel; and decisions by participants must be issued in writing. Sign up today for your free trial to this daily reporting service created by attorneys, for attorneys. Stay up to date on antitrust legal matters with same-day coverage of breaking news, court decisions, legislation, and regulatory activity with easy access through email or mobile app. One of our product experts will be in touch soon. While you're at it, create an account.